Natural tastemakers. It’s not only a feast for the eyes up here. It’s actually quite a feast. With a spacious new kitchen, we’re able to cook up something really special. Focused on healthy, filling cuisine to fit backcountry tastes, our menu changes often depending on what’s in season and inspiring us. With a centerpiece of a grand 40-foot fireplace made of native rock, our open dining room seats 25, with potential overflow space in the neighboring lounge. A large wraparound porch offers a bonus place to drink coffee or grab a bite with a view. 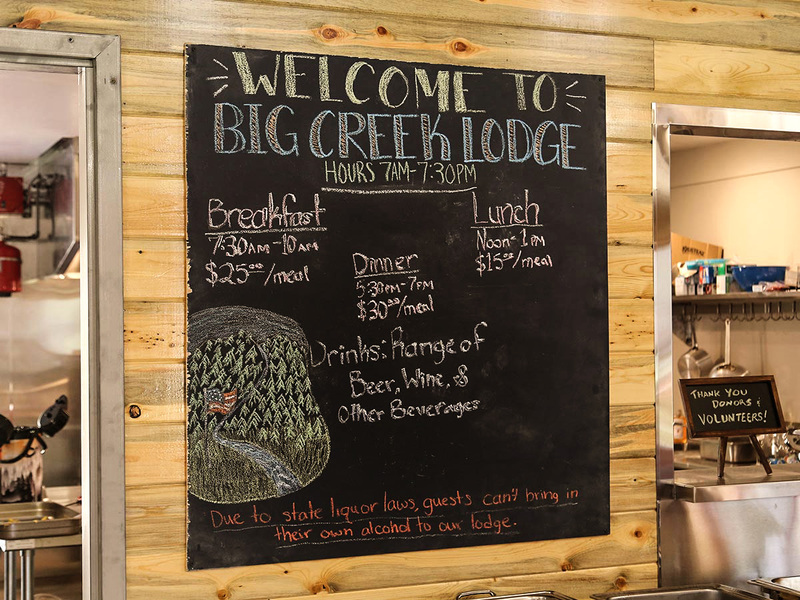 Although the Lodge is not a general store, we do have an assortment of wine, beer, other beverages, and snacks for sale. «Reservations recommended but not required; email managers@bigcreeklodgeidaho.com. Sack lunches for overnight guests are available on request. Just let our crew know the night before. «Reservations recommended but not required; email managers@bigcreeklodgeidaho.com. DRINKS: A range of beer, wine & other beverages are on the menu. 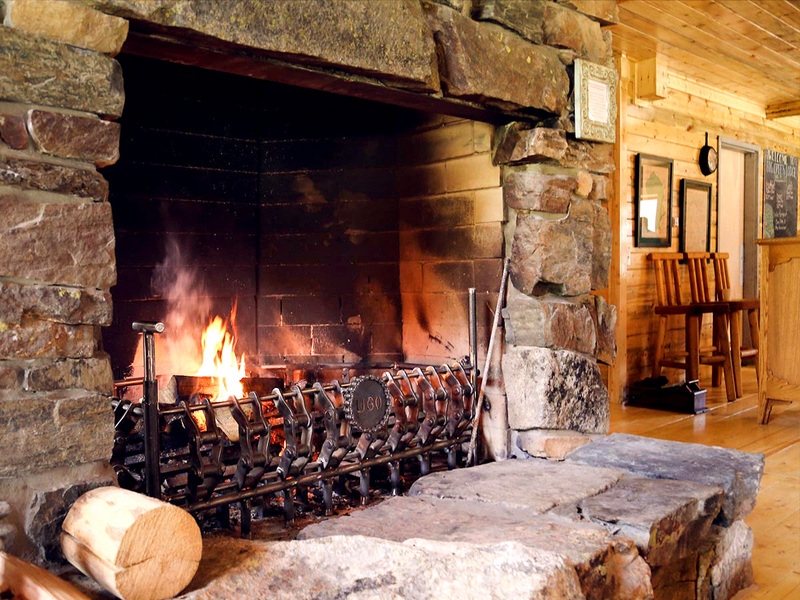 Guests are not allowed to bring in their own alcohol to drink in the common areas of the Lodge. No reservations are needed for breakfast, but save a spot for lunch or dinner ahead of time if possible. Keep in mind that supplies are usually flown in, so groups of 5 or more should give us a heads up well in advance to partake of it all. 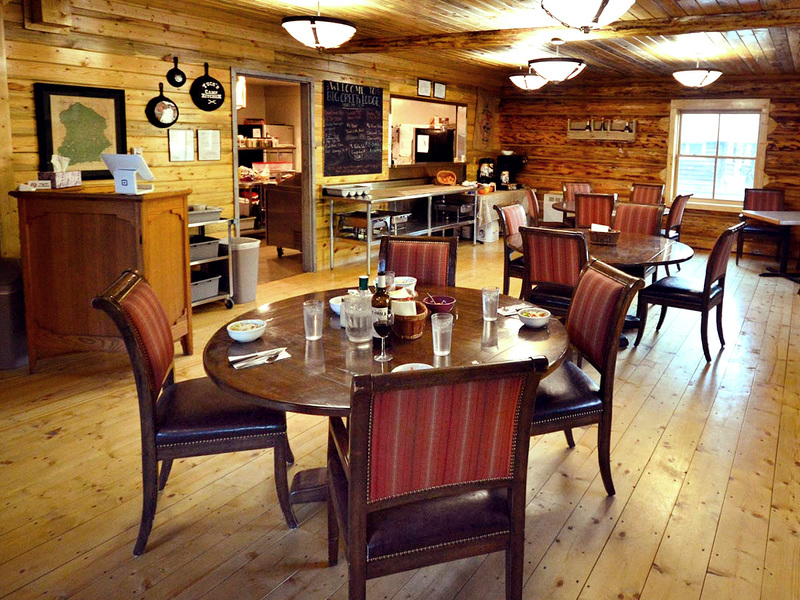 To make a reservation, drop a line to managers@bigcreeklodgeidaho.com with your date, headcount, and mealtime.